Dr. John Greenland graduated from the Harvard Medical School and completed his residency program at the Beth Israel Deaconess Medical Center. Then, he did a fellowship at the UCSF. He is specialized in Pulmonology and board certified in Critical Care Medicine and Pulmonary Disease. 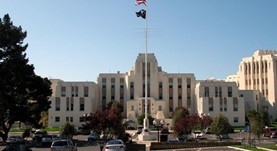 Dr. Greenland has been in practice for more than 6 years and is affiliated with the San Francisco VA Medical Center. During his career, he has also contributed to several clinical research papers. Dr. John Greenland has contributed to 3 publications. Frailty Phenotypes, Disability, and Outcomes in Adult Candidates for Lung Transplantation. Singer, J. P.,Diamond, J. M.,Gries, C. J.,McDonnough, J.,Blanc, P. D.,Shah, R.,Dean, M. Y.,Hersh, B.,Wolters, P. J.,Tokman, S.,Arcasoy, S. M.,Ramphal, K.,Greenland, J....; Am. J. Respir. Crit. Care Med.. 2015 Aug 11. Mast cells in a murine lung ischemia-reperfusion model of primary graft dysfunction. Greenland JR Xu X Sayah DM Liu FC Jones KD Looney MR Caughey GH; Respir Res. 2014 .